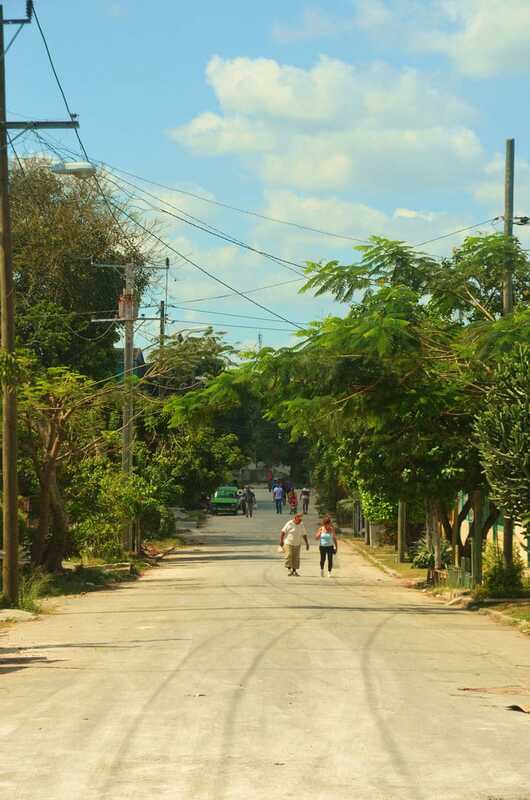 When we started this blog, we wanted to address how the idea of the bridge to Cuba had changed over the last twenty years, how that bridge now went “to” and “from” Cuba. This month we are thrilled to feature a beautiful and moving piece by Dazra Novak who writes from Havana about what the bridge means to her. Conjuring a childhood memory of playing hide-and-seek in the late 1980s and early 1990s leads her to reflect on the sorrow of saying goodbye to friends who have left the island. But she finds comfort in stitching together a quilt of memories of Havana on her blog, Habana por dentro, which she launched in 2013, creating a virtual bridge that travels both ways. We hope you’ll enjoy her piece and have a look at her marvelous blog, which has found Cuban readers who live all over the world. Just nine or ten years old and my only obligation was going to school. Watching cartoons. Meeting up with my friends after my homework was done. I remember playing hide-and-seek, my favorite game, from late afternoon until, with a bit of luck, it was time for the telenovela. Of course, if our mothers called us we had to come in. Like any group, we had the brain, the flirt, the clown, the studious grind, the slow-poke, the excited fan, and the handsome boy, who on top of his pretty looks had family living abroad (a ticket that, depending on who looked at it, could be good for going to heaven or, just as easily, to hell). His name was Yulay. You know, from the name of the month of July in English. The only excuses for missing a game of hide-and-seek were if you had a bad cold or a high fever, you had lost a tooth and it hurt, or you were being punished. Yulay had one more acceptable reason: he could miss our games whenever there were relatives visiting from el norte. He would show up a week later with a piece of gum in a wrapper nobody could read. Colorful tennis shoes with tremendo swing. Cologne that made our heads spin, while we asked to borrow his new Christmas-tree shaped eraser and admired his lined notebooks which, we noticed with a touch of jealousy, came with pre-marked margins! At first a tacit gulf would separate us. Until, his supplies and airs depleted, we were again equally victims of shortages and equally uninhibited. We again became misbehaving kids, running around at hide-and-seek. Exchanging innocent kisses. Trading candy wrappers (minus the candy) and gum wrappers (minus the gum) for our respective collections. We were children, innocents. More than that, we were a happy band. Until the day when, playing hide-and-seek as always, it was my turn to count to a hundred and then I started finding them, one by one: you, hiding behind the palm tree; you, behind the Moskovitch; you, behind the peeling wall; you, on top of the water tank; you, right there in the vestibule of the apartment building. I saw them. I found them all—except for Yulay. I pictured him floating. I dreamed of him shouting my name. I got a feeling he was dead. I forgave him in my childish memory of him showing off his gum and his tennis shoes. I missed the scent of him. I yearned to find him leaning in at my window, like all the times when I got angry at him for choosing his family before me and didn’t want to play. The first love of my life, how awful, had set out on the sea that had until then merely been a harmless beach. Twenty days went by and it seemed like twenty years. Until then I knew next to nothing about the Guantánamo Naval Base. Who could he have played hide-and-seek with during the months he was stuck there? Had he thought about us in the midst of his ill-fated crossing? Did he miss us? Would he remember us, now that he could have gum whenever he wanted, and new shoes, and lots of cologne and lined notebooks with pre-marked margins? I never got an answer. Never got a letter. Was never the same again, not after that game of hide-and-seek. A cursed game, after which they continued to disappear: hiding in the back of a plane, on a raft, with a visa, a family claim, a marriage of convenience; friends from middle school, from high school, from college. Lifelong friends. Friends I had just met. Even friends I never allowed myself to get to know, for fear of opening my eyes one day and finding them gone. Those were not true bridges, they were merely one-way tickets. They weren’t bridges, they were oblivion in Coca-Cola form. How could they be, if the point of a bridge is to join countries, not to hamper an exit or rule out a return. Bridges should be measured in kilometers, never in absences. That is why, one fine day, walking through my city as I had done a thousand and one times before, I told myself: I’m going to have my memory ready for them, just in case, just if, someday… I started my blog Habana por dentro and filled it with the Malecón, Avenida 23, Jalisko Park, domino games, coffee cut with chickpeas, stiltwalkers, rumba, raspadura, piropos, Old Havana, almendrones, violent rainstorms, street vendors, qué bolá. They surprised me with their responses from the most out-of-the-way places. 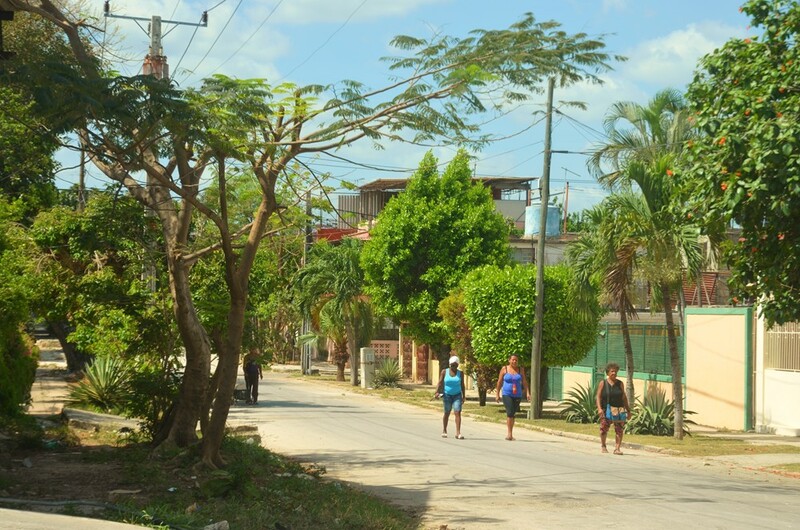 “I miss Havana,” they tell me, “you don’t know how much you can miss Havana.” “Never stop writing, I read you and I feel like I’m there for at least a brief moment. And I laugh. And cry. And I remember. Thanks.” That’s why, in spite of the shortages and obstacles, the heartache and the uncertainty, I insist on stirring my memories, drawing another map, saying what I learned after so many years of saying goodbyes: this need for bridges isn’t mine alone. 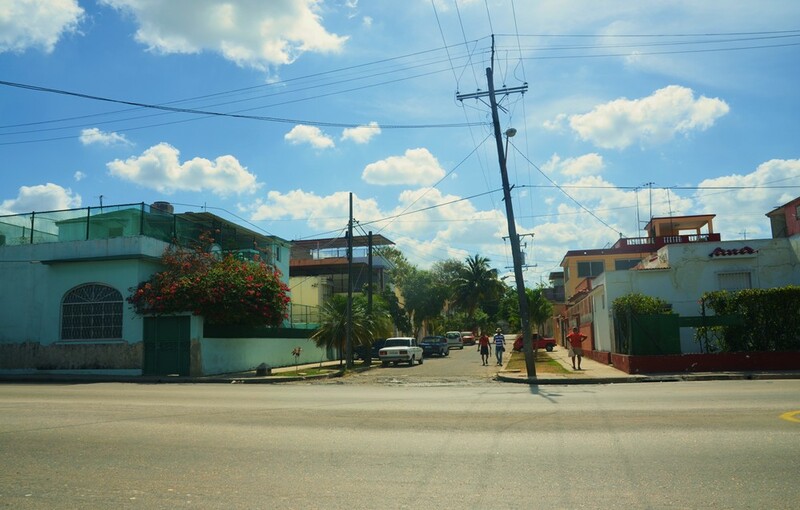 Photographs of barrio La Ceiba by Dazra Novak. Dazra Novak (Havana, 1978). Writer. Studied History at the University of Havana and literature at the Centro de Formación Literaria Onelio Jorge Cardoso. She has been awarded the Premio Pinos Nuevos 2007 for her book Cuerpo Reservado (short stories; Letras Cubanas, 2008); the Premio David and the Premio Especial Cabeza de Zanahoria 2007 for her book Cuerpo Público (short stories; Ediciones Unión, 2009); and the Cirilo Villaverde Prize by UNEAC in 2011 for her novel Making of (Ediciones Unión, 2012). Her short stories have appeared in numerous anthologies, including Como raíles de punta (Ediciones Sed de Belleza, 2013, edited by Caridad Tamayo Fernández), Ladrón de niños y otros relatos (Premio Iberoamericano de Cuento Julio Cortázar, Letras Cubanas, 2012), and Hasta Feldading no paro y otros relatos (Premio Iberoamericano de Cuento Julio Cortázar, Letras Cubanas, 2011). She writes the blog Habana por dentro and is a columnist for the digital journal Cuba a contraluz in its Pasaje de regreso section. She has written for the now-vanished Cuba Contemporánea blog in its Letra de molde section and for the digital journal Cubahora in the personal section Una palabra. What sweet story. Reminds me of the yard next to my abuelo’s house where there were old tires piled up and we hid inside them or try to run on the piles without falling. Thanks for publishing it.